A week or so ago, the school had a Burns celebration, so they learned some Scottish country dancing so they and the parents could have a wee ceilidh, the classes sang us some Scottish songs, they exhibited artwork about Scottish heroes, my 3 minxes did a little (60 second!) 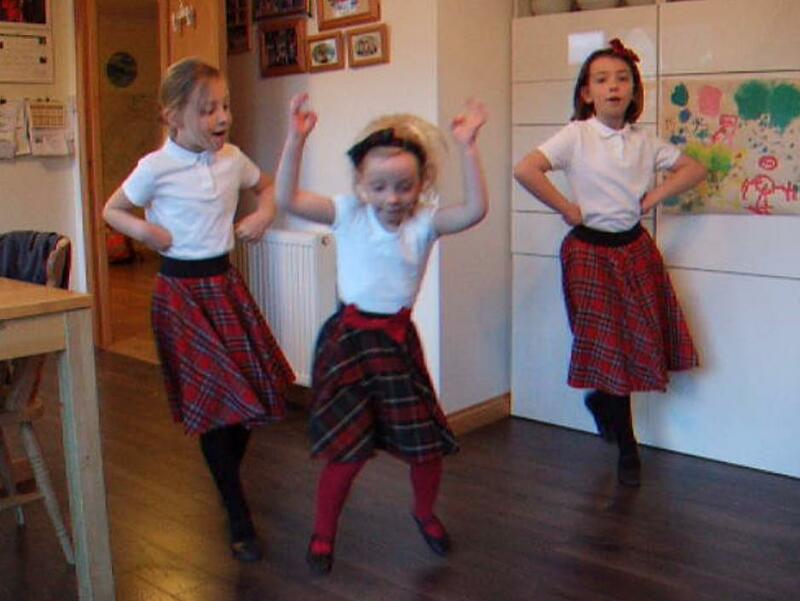 Highland dance, and the children had a Scottish poetry recital competition. The class winners were announced at the celebration. Maxi came 3rd in her group and Mini came 1st in hers. Blimey! So tonight Mini is off with The Boss shortly, with all the class winners, to recite their poems at the local Burns Supper. I was reflecting on how self-confident the minxes are in front of audiences, especially Midi. They don’t seem bothered at all by the attention; indeed, Midi seems to revel in it. I asked her why she’s not bothered by performing in front of other people. “Well, it’s like I’m the Queen,” she explained with a regal wave of her little hand. Hmph!